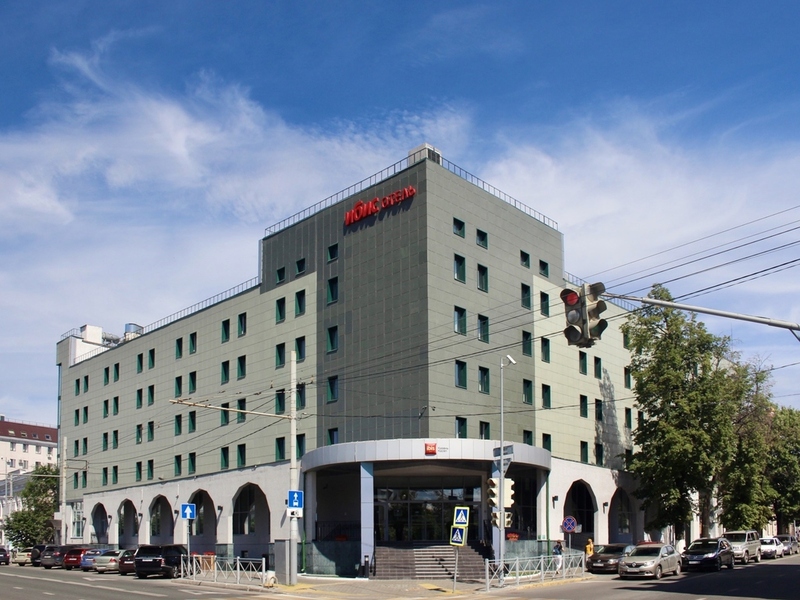 The hotel is located in the center of Kazan and a 5-minute walk from the Kazan Kremlin, which is listed as a UNESCO World Heritage Site. Ibis presents 155 modern new-generation rooms, equipped with flat-screen TV, WIFI, cable TV, telephone, air conditioning and a bathroom with shower cubicle. The ibis Kitchen bar allows you to escape the hustle and bustle of daily life in a relaxed atmosphere. Parking at the hotel is available 24 hours a day. Our stylish ibis Kitchen Mediterranean restaurant offers delicious dishes from the south of France, Spain and Italy, as well as traditional Russian and Tatar cuisine. A relaxed setting, where you can enjoy a bite to eat or something to drink, before getting back to your work or leisure activities.